Time goes by so quickly. Somehow I can’t imagine that it has been more than a month since I wrote my last post. I came back from Prague with a cold that stayed with me very persistently for nearly 3 weeks. Spring is always a busy time : not only in my working life, but also in private. The house needs a spring clean-up. The dog needs some extra grooming. The garden needs more attention as usual – we did not have any rain for a very long period, it is the driest winter since 150 years. But I have been more active on Instagram. I have enjoyed taking photos, sharing them with others and looking for new people to follow. My patchwork and quilting is on the hold at the moment. I have helped Janet with basting her quilt. 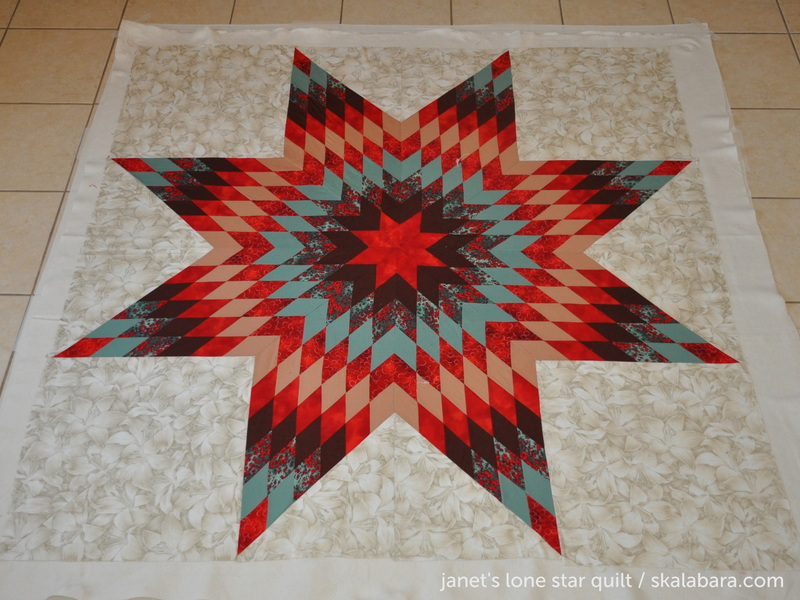 On this occasion I would like to share with you photos of Janet’s second large quilt. Janet retired a few years ago and she came to live here in Spain. She started quilting just a year ago, without having any big sewing experience. Both of her large quilts she made are in QAYG (quilt as you go) technique. 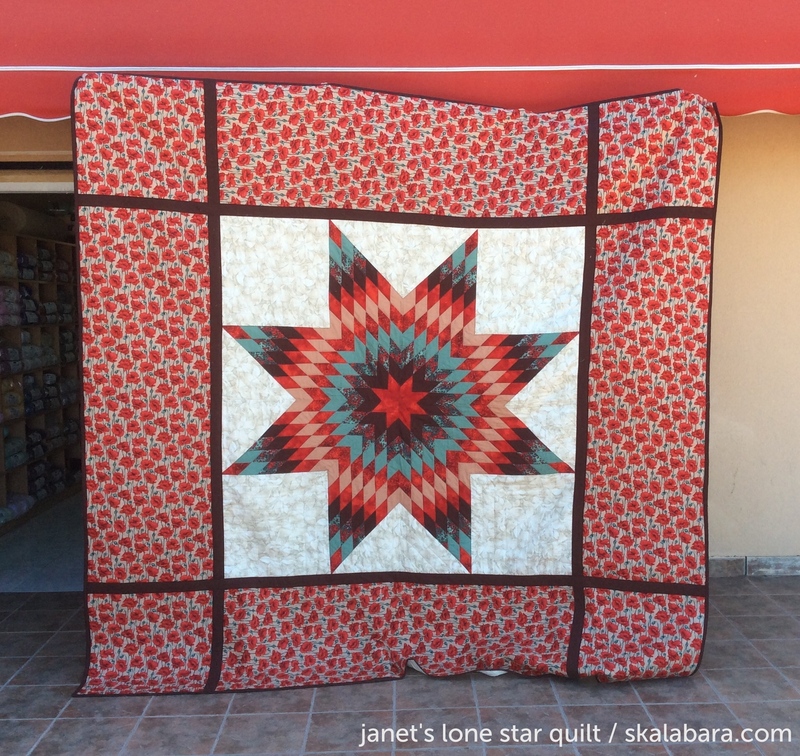 The Lone Star block is the centerpiece of the quilt and is already 60″ x 60″ big. When she added borders to the quilt the size grew up to 102″ square. Janet quilted star as well as the borders with the walking foot. The quilt was joined using a method I found on the web : made by ChrisieD. I know Janet is very proud of her quilt and she definitely did a very good job! This entry was posted in blocks, patchwork, quilts and tagged block, finished quilt, quilt top, sandwich.